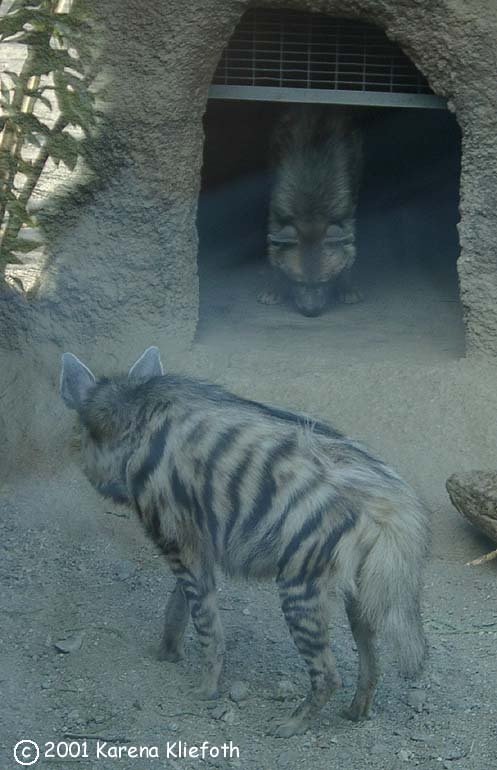 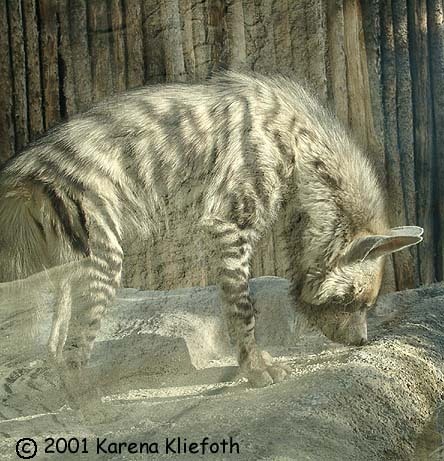 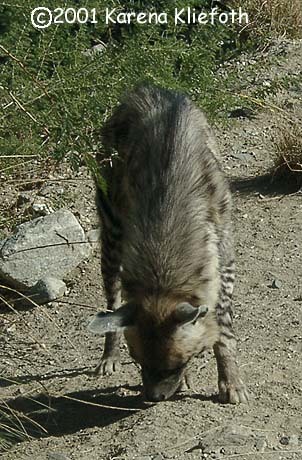 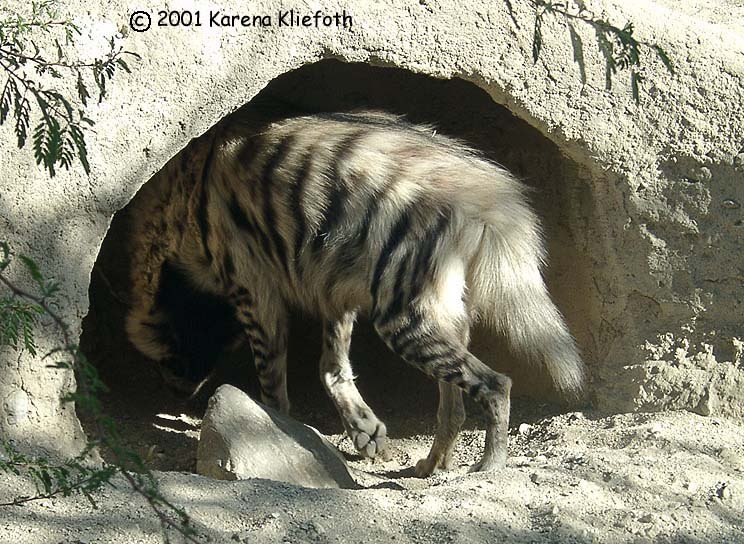 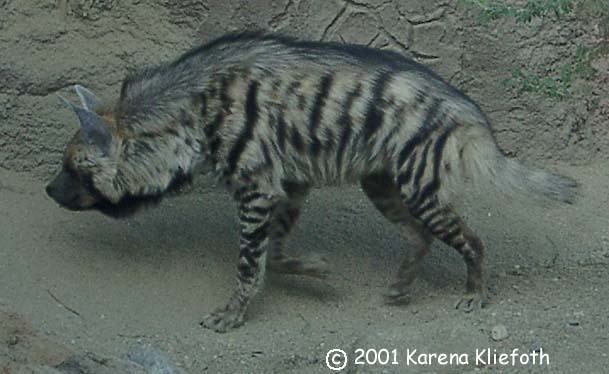 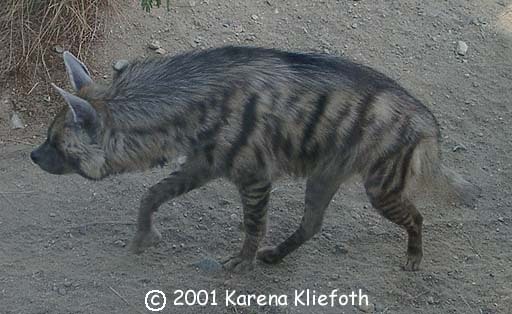 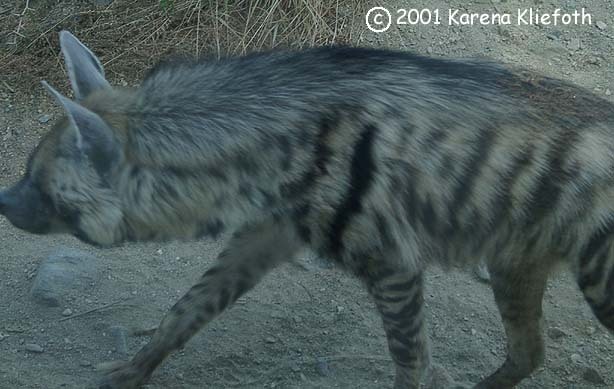 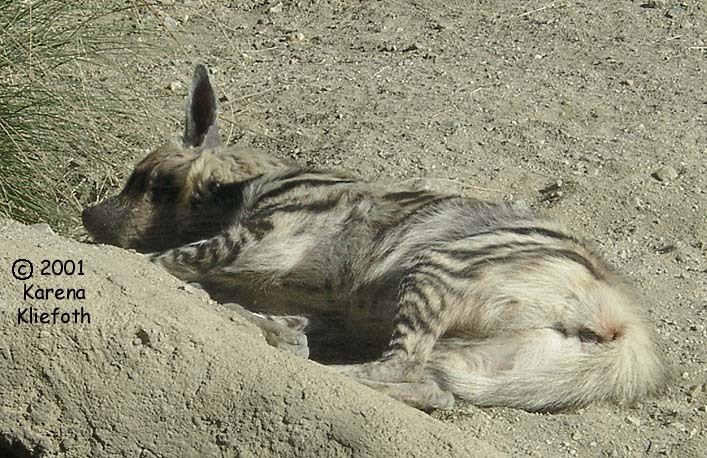 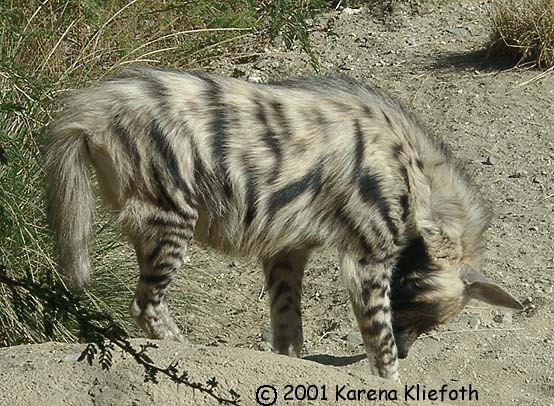 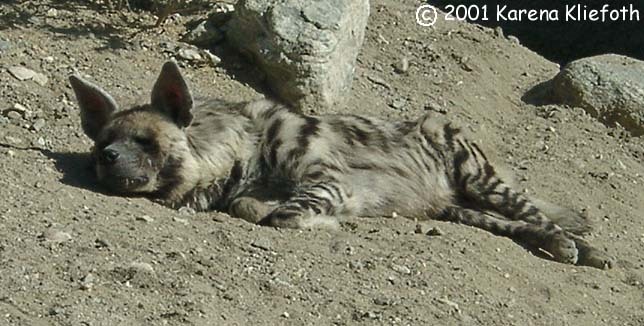 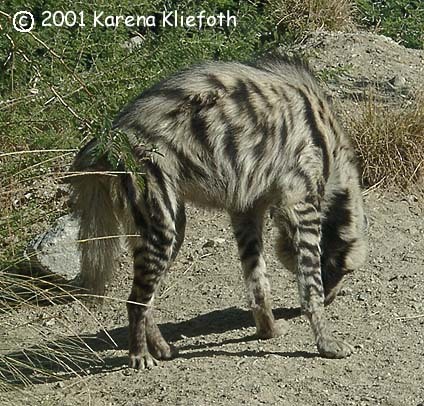 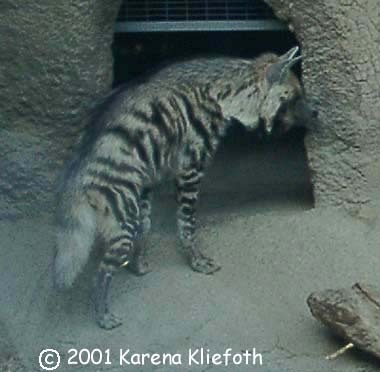 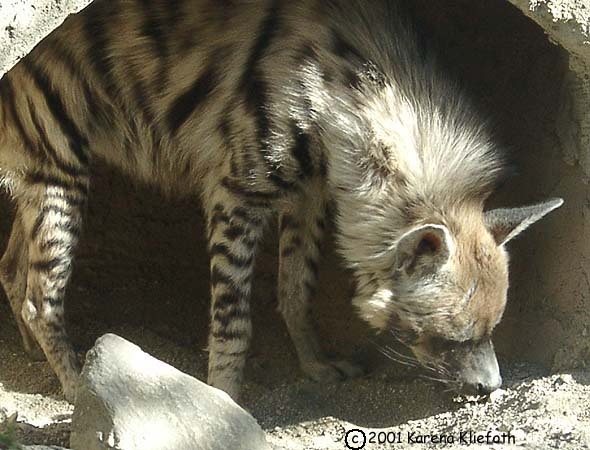 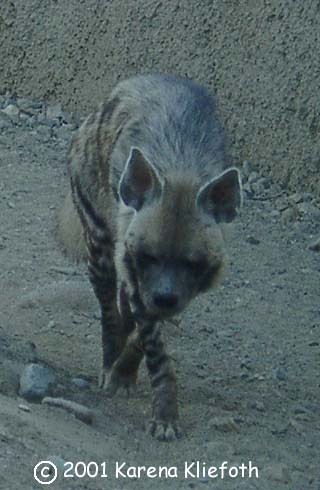 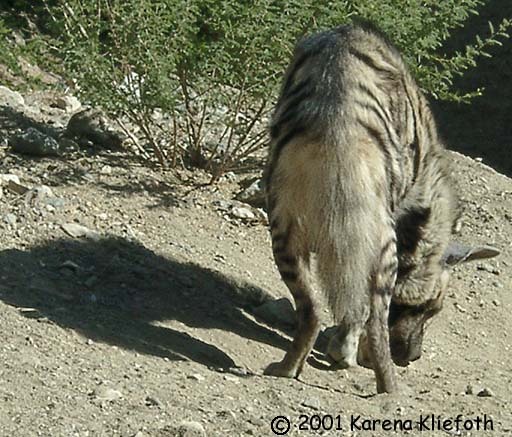 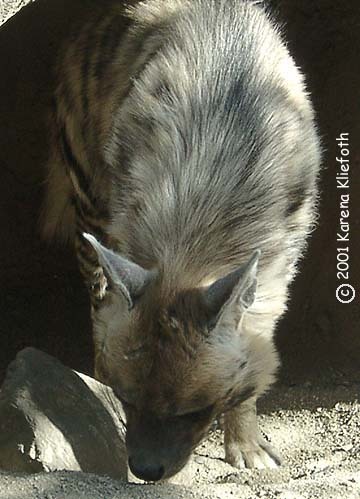 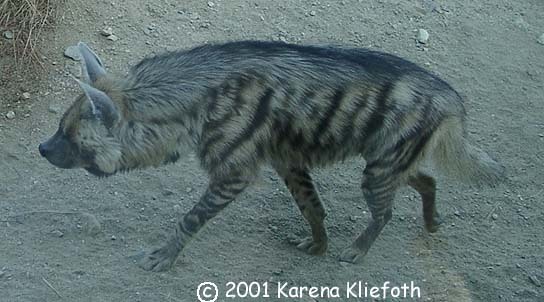 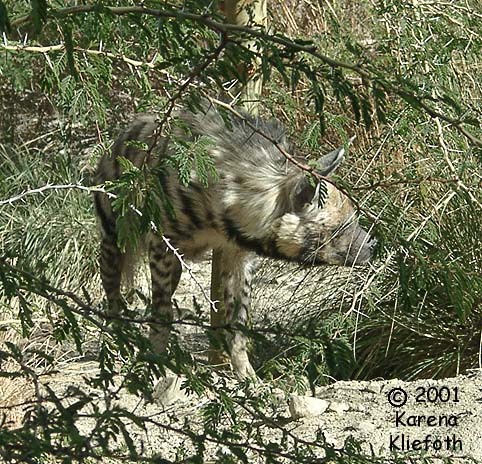 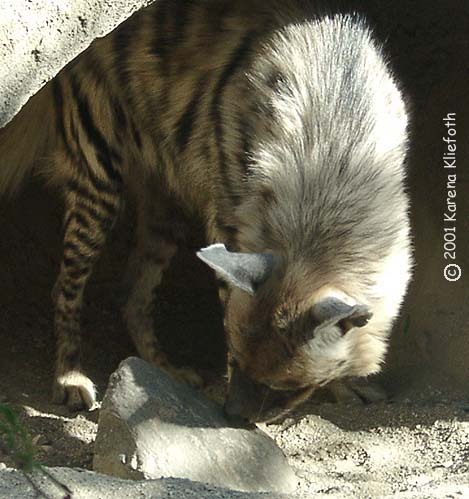 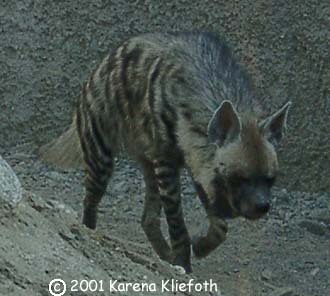 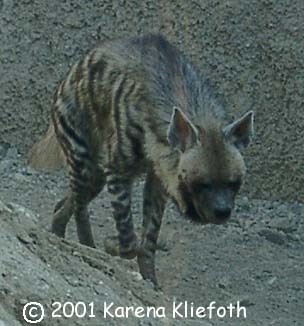 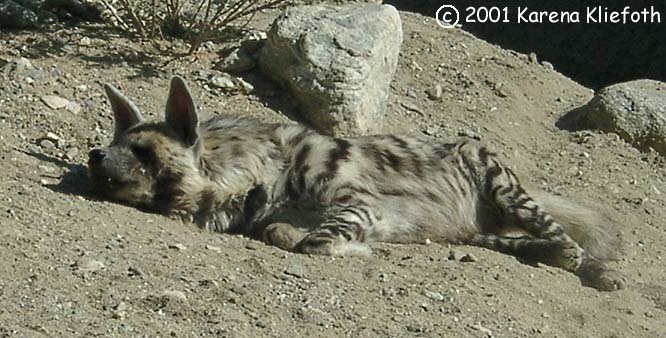 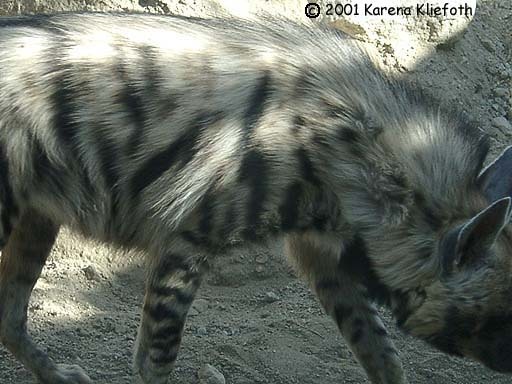 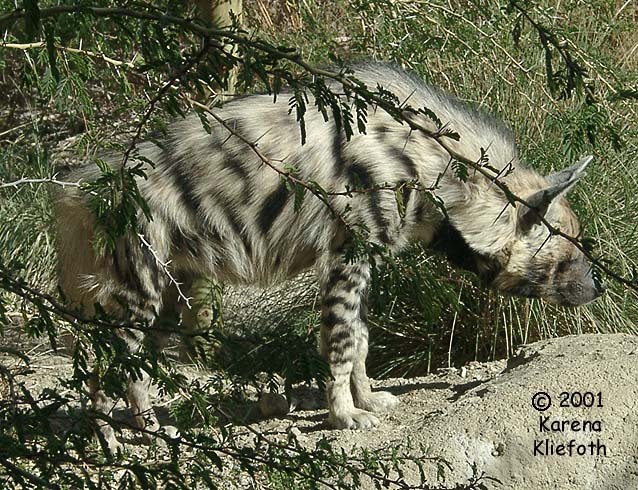 Here are quite a few photos of striped hyenas I took at the Living Desert Zoo on Dec. 2, 2001. 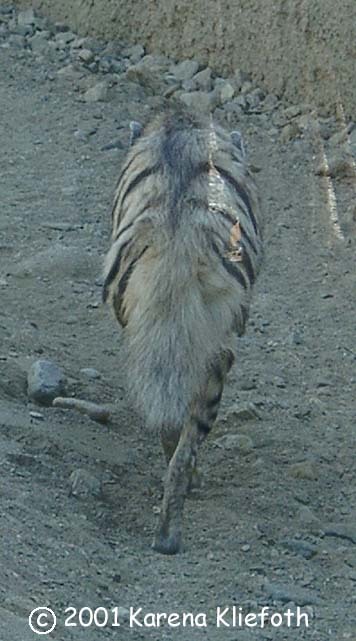 Please note that I do own the copyright on all these photos; if you need to use them for some reason then please contact me. 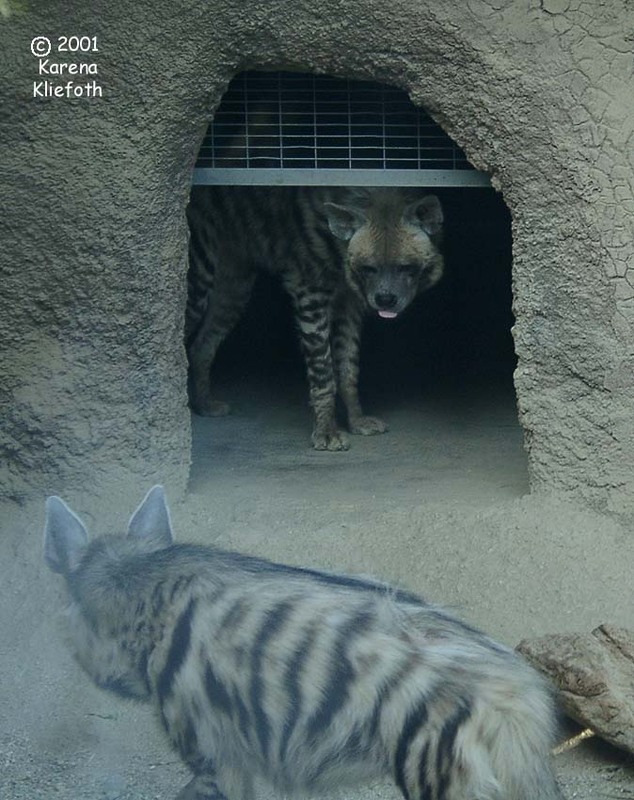 You can now go to page 2!